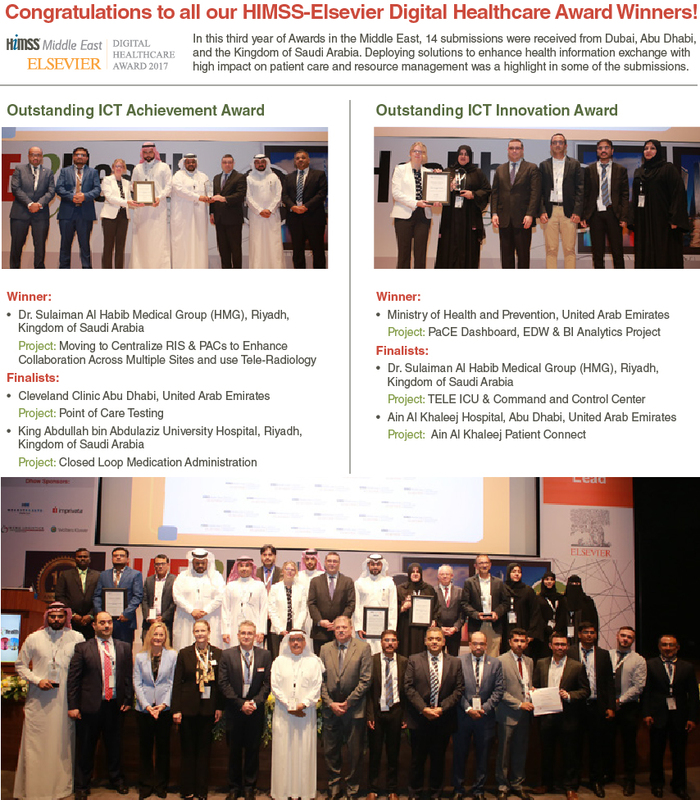 The 4th Annual Middle East HIMSS-Elsevier Digital Healthcare Award is coming to Saudi Arabia for the first time! Showcase your ICT achievements this October! This Award is open to all healthcare providers based in the Middle East. To recognize outstanding achievement in harnessing ICT to provide significant improvement to patient care and safety. The ICT solution adopted may not be new but it has been effectively used by the awarded hospitals to significantly improve patient care and outcome and/or address major challenges faced by the hospitals. Other limiting factors like the hospital financial background, the niche community that the hospital is serving, the long-standing problem that the target population is facing et cetera will also be taken into consideration.